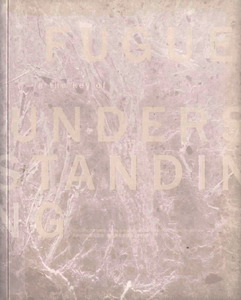 Fugue In The Key Of Understanding is the publication following the exhibition of Para/Site Art Space – Hong Kong Jockey Club Curatorial Training Programme. Editors are students of the programme— Michelle Lee, Wong Wing Fung, Alvis Choi. The catalogue includes essays by the curators and Valerie C. Doran, as well as descriptions on works by Jun Nguyen-Hatsushiba, Mari Velonaki, Matt Dabrowski and The Many Hands Of Glamour, among others.